Looking for easy Christian Easter Crafts for Sunday school or to do with your own kids at home? Here are 10 you’ll love! Easter Sunday will be here before you know it. How will your family celebrate? By dying Easter eggs? By participating in an Easter egg hunt? By visiting the Easter Bunny at the mall? While these traditions are always a lot of fun, it’s important that we don’t get so caught up in all of the fun and festivities that we forget what Easter is really all about–celebrating Jesus’s resurrection! Thankfully, celebrating the real reason for the season can be every bit as fun too. 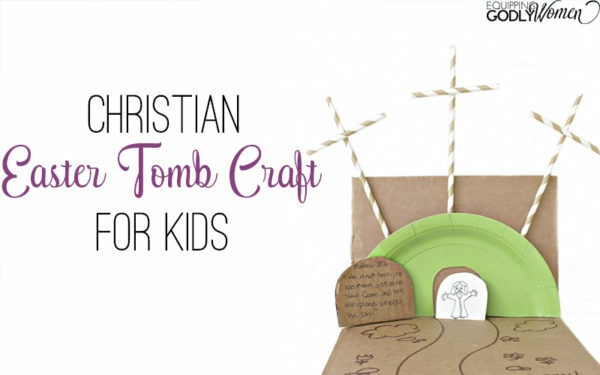 At least it will be when you celebrate with these fun Christian Easter Crafts for kids! 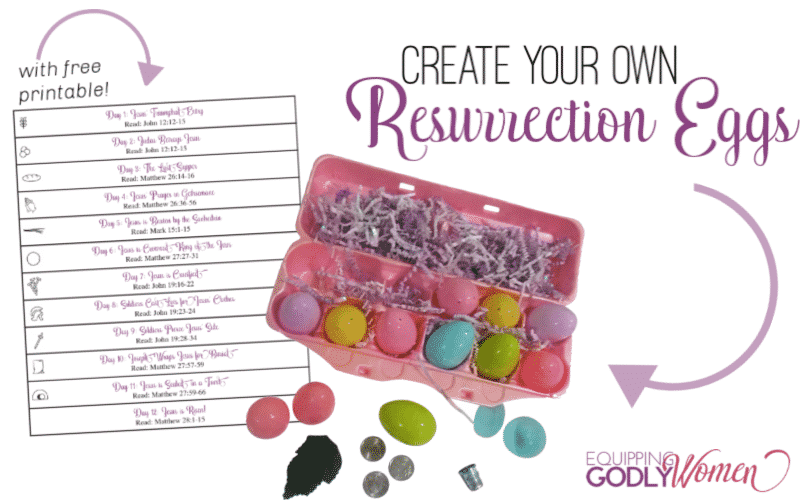 From this Empty Tomb Craft to these DIY Resurrection Eggs, whether you’re looking for easy Christian Easter crafts for Sunday School or home, you’re sure to find everything you need for a fun Christian Easter right here! *This post contains affiliate links, which means if you make a purchase, I may make a small commission at no additional cost to you. Thank you! He is Risen! 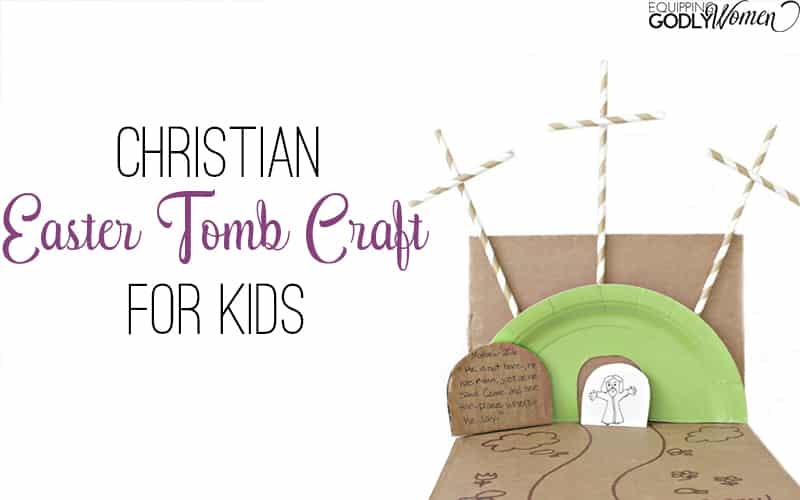 If you’re looking for easy Easter Crafts for Sunday School, you’ll love this Empty Tomb Craft for Kids. It’s super easy to make, seriously inexpensive (whether you need materials for 2 kids or 200) and uses materials you probably have laying around the house anyway (or can get very easily). Your kids will love it! Looking for something a little more sturdy/fancy? 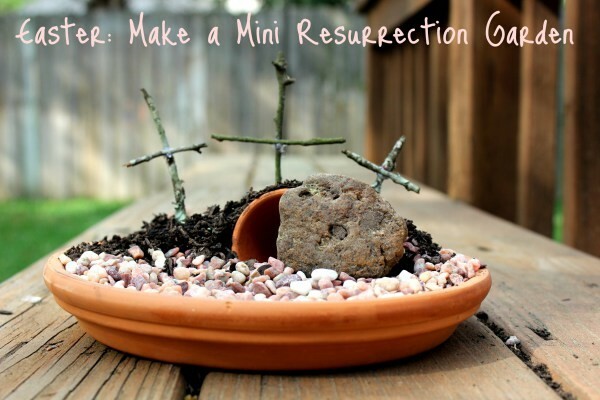 Teach your children about the tomb and the Risen Lord with this fun DIY Mini Resurrection Garden from We Are THAT Family. Plus, this one looks nice enough, you can display it in your home all season long! 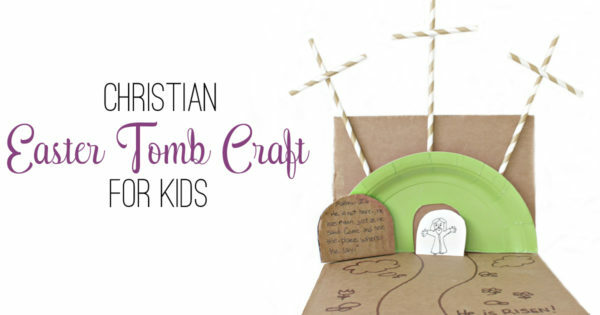 Looking for Easter crafts for Sunday School with older kids? Looking for a fun way to fill up a rainy afternoon at home? 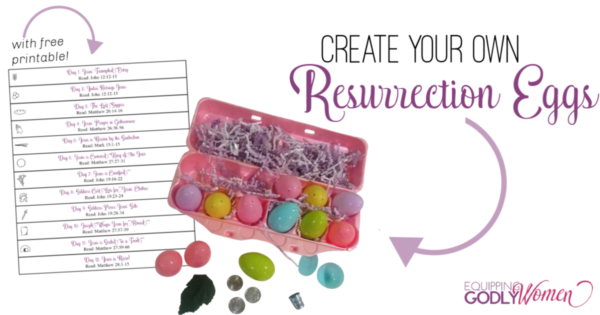 If so, you should check out these DIY Resurrection Eggs! Much more comprehensive than most simple Christian Easter Crafts, these Resurrection Eggs do a great job of covering the entire Easter story at a depth most crafts don’t cover. 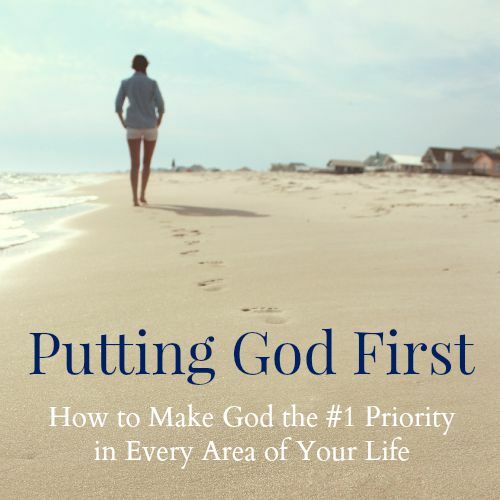 You can find step-by-step instructions (plus a free printout with Bible verses!) here: DIY Resurrection Eggs Instructions. 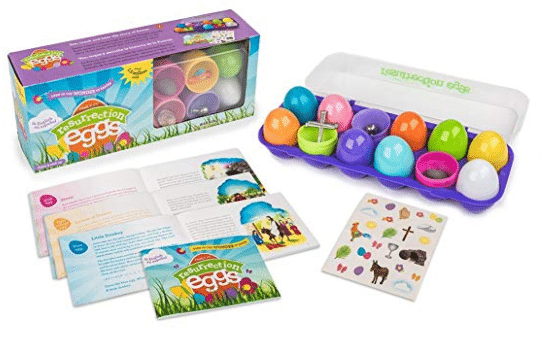 ** Alternately, if you want your own set of Resurrection Eggs to use with our own kids, but don’t have the time to assemble one yourself, you can just buy a Resurrection Eggs set here. Everything is already done and ready to go! Have a cross and some paints handy? These beautiful Crucifixion Paintings from Campfires and Cleats make great Easter Crafts for Sunday School. 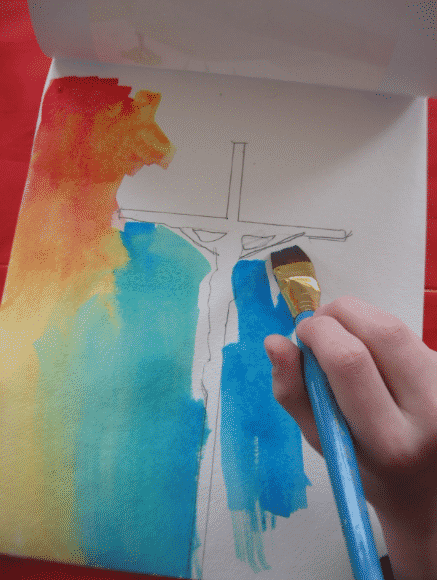 It can get a little messy (so be sure to use washable paints, have the kids wear paint shirts/smocks, and lay down lots of newspaper or cheap table cloths first), but the kids will have so much fun decorating their own Crucifixion paintings that it will be well worth it! 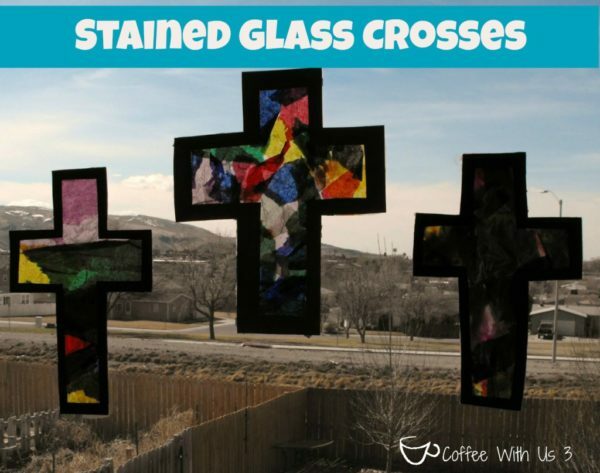 Alternately, these Stained Glass Crosses from Coffee with Us 3 are another really pretty Easter Crafts for Sunday School you can do with kids of just about any age. They don’t take too long to make, the materials are very inexpensive (whether you need them for 2 or 200), and your kids will have a lot of fun making their own. **Bonus Christian Easter Crafts: Looking for even more Christian Easter crafts for Sunday School or home? Be sure to check out this Easter Paper Doll Free Printable Resurrection Set and this easy How to Bead a Cross craft tutorial as well. They both look great! 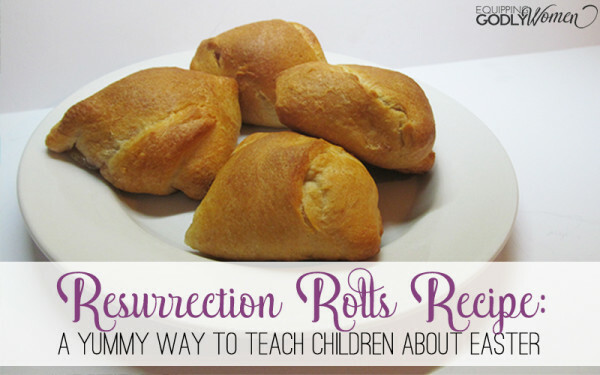 Have you ever made Resurrection Rolls before? We make them every year and the kids love them! Not only are they a great way to teach little ones about the true meaning of Easter, but they’re super yummy too. 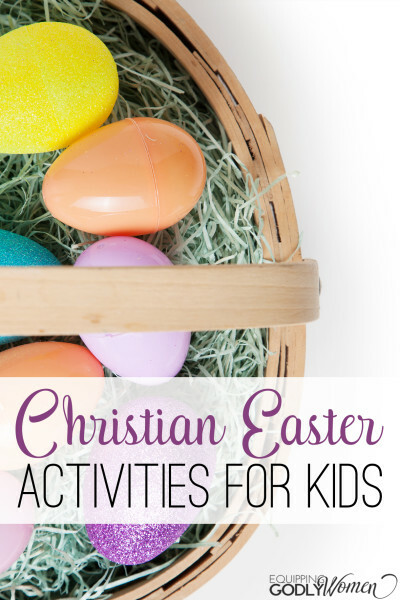 These would be more appropriate for home use (unless your Sunday School class has access to an oven), but as one of my very favorite Christian Easter activities, they definitely deserve a spot on this list! 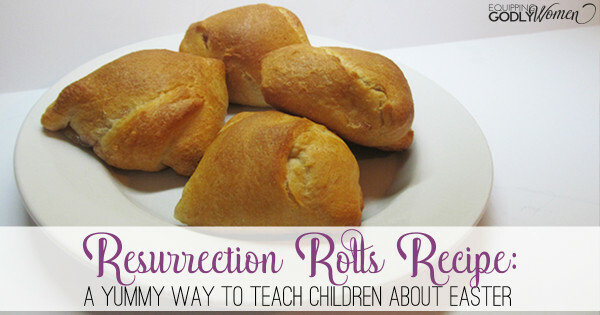 Get the instructions here: Easy Resurrection Rolls Story and Recipe. 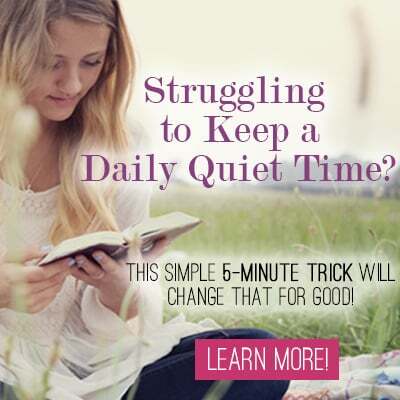 Want a super simple Christian Easter activity your kids are sure to LOVE? Teach them the Jelly Bean Prayer with this Jelly Bean Prayer Jar and free printable. Candy always gets kids’ attention, and this fun craft assigns each color an important part of the Easter story. Talk about a yummy way to learn! Coloring pages are a MUST for Sunday School, and you can find TONS of free Christian Easter Coloring Pages from 1+1+1=1. 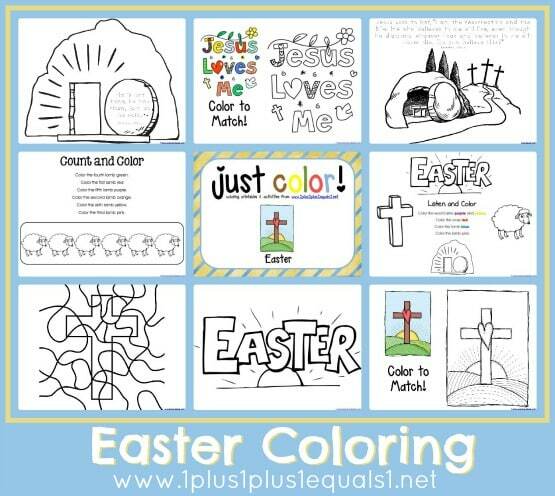 This free printables set offers 17 cute, fun and free coloring and activities pages designed to help teach your children about Jesus and Easter, all while they are having fun coloring! Need even more? Coffee with Us 3 has some really cute Easter Printables. Or you could check out their Countdown to Easter printable — that looks really fun too. Looking for fun Easter crafts for Sunday School for elementary aged children? 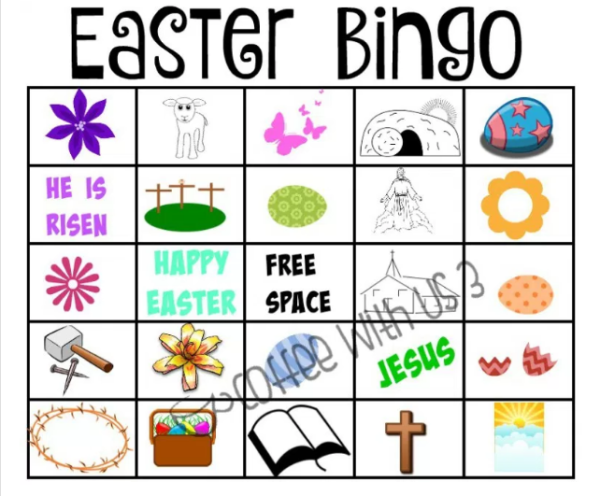 This Christian Easter Bingo game from Coffee with Us 3 looks like a lot of fun! Plus, I love that Bingo is super time-flexible, so you can play as many games as you need to to fill in however much time you have. 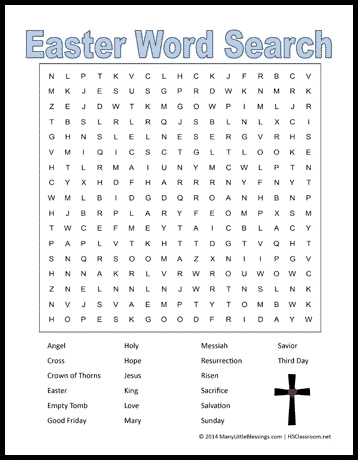 Or what about this fun Religious Easter Word search from Real Life at Home? This would be a great Sunday School activity for older kids. Will you do any Christian Easter Crafts for Sunday School or at home this year? 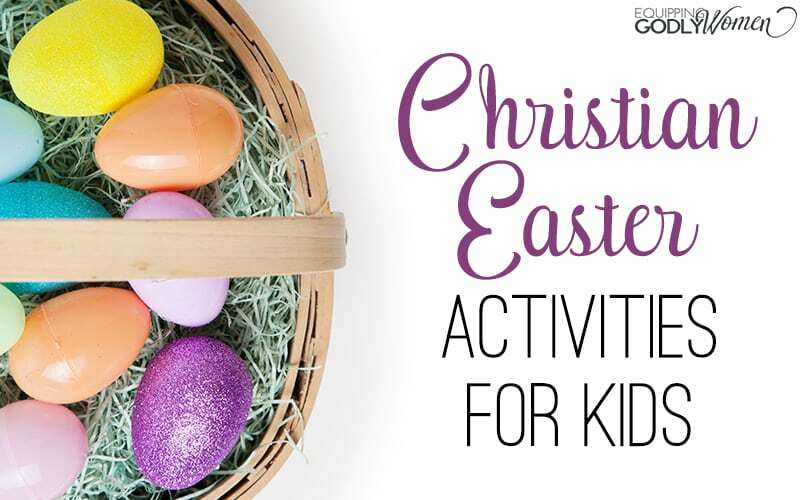 Do you have any fun Christian Easter crafts, activities, games or recipes you usually make? You are welcome! Hope you got some great ideas! Good morning! Visiting from Embracing His Will, and these ideas are magnificent. We are a family that is always on the lookout for ways to keep Christ as the primary focus for both Christmas and Easter, while maintaining the festive atmosphere. 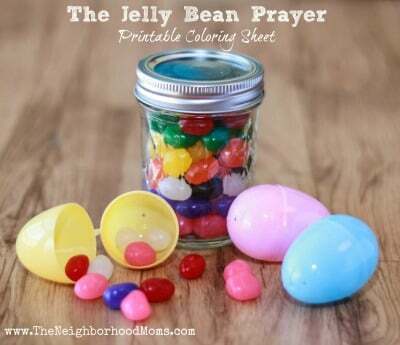 My favorite ideas are the Christ-themed Easter basket and the Jelly-bean prayer jar! Thanks for the post!